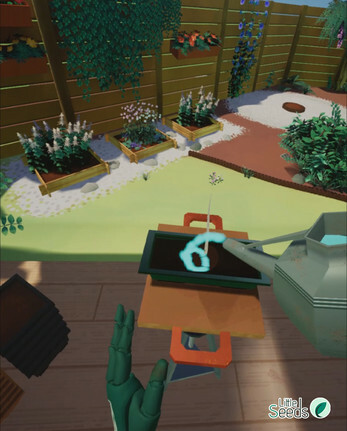 Little Seeds is a relaxing experience using virtual reality, placing the player at the heart of a bucolic garden in which he will be able to grow his own trees. Mixing recreation and amazement, you'll have the pleasure to combine different seeds to create unique plants and arrange your creations in the garden. This game is only usable with the HTC vive and was made by 7 students of Enjmin school (France) in 3 months.